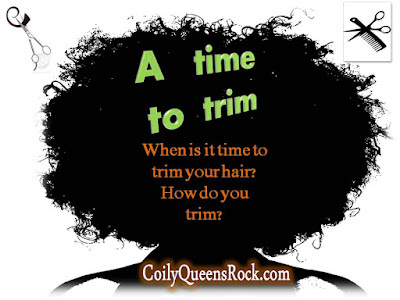 CoilyQueens™ : When is it time to trim your hair and how? Have you been natural for awhile but you are not sure when to trim your hair? When your hair does not style well. Check the hair which falls on the sink. Do you see short hairs the size of eyelashes? Those are split ends time to trim. Although you can mend a split end temporarily with certain products, it is best to trim that split end off. Hair can split anywhere on the strand. But the most common type of split happens between mid strand and the ends. 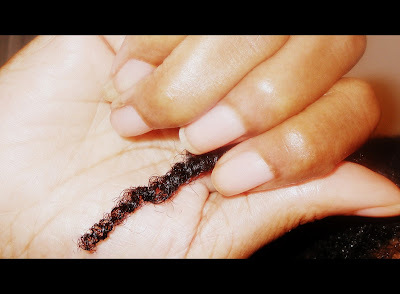 Once your hair starts to split it will continue to split all the way up the hair shaft. Always cut your splits immediately. Make an appointment with a professional who can work with natural coily hair. 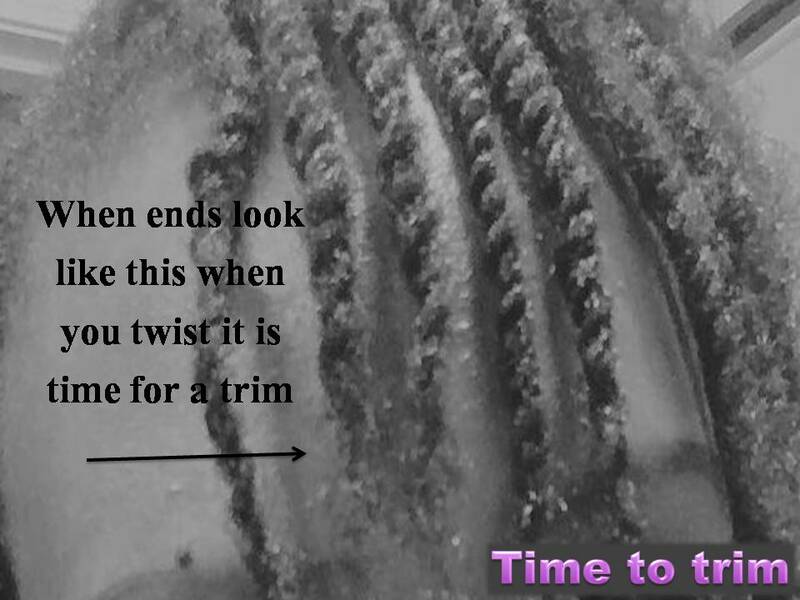 It is not necessary to straighten Afro hair, in order to trim it. A minimally skilled stylist should be able to trim your hair in its natural state. No blow dryers or straighteners needed, unless you want to. Be clear with the stylist your desires, before she begins to cut. If you did not start your natural journey from a big chop, then you want to start with a professional trim. You want to start from clean, healthy ends. How much you will need to get cut will depend on the health of your hair. Get this trim with a cosmetologist. She will examine your ends and tell you how much she recommends to cut. Once you have your first professional cut. Mark your calendar for every 4th month. This will equal 3 trims a year. Remove at least .25 inch each trim. Trim off more if necessary. 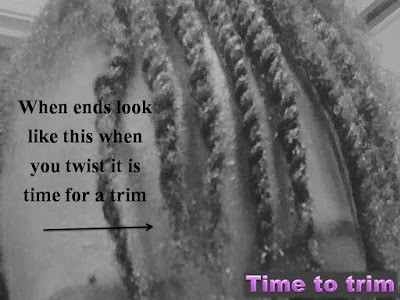 Following this schedule and a healthy hair regimen, will enable you to maintain healthy full beautiful ends. When your ends look good, your hair styles well. You also retain more length. So you will reach your length goals faster. Never brush your hair, it weakens your ends. Limit your use of flat irons and all heat straightening. 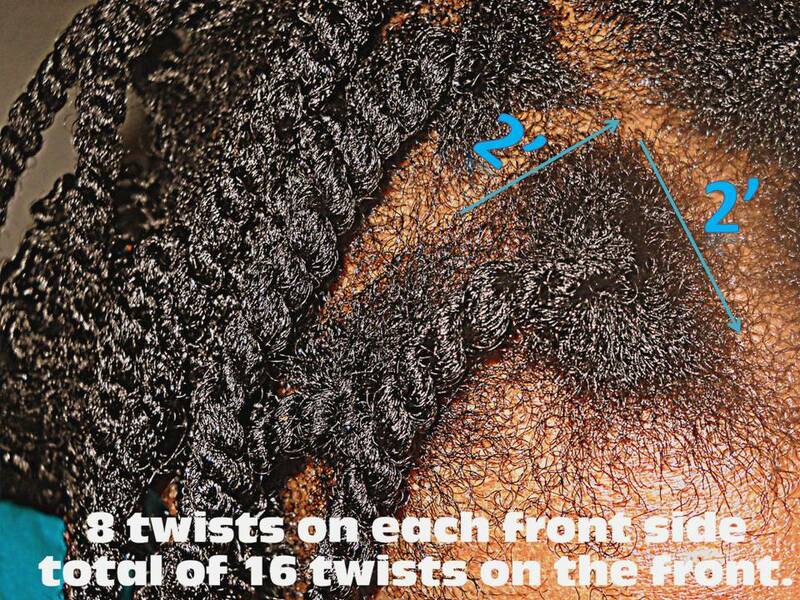 Keep your ends from rubbing on your clothing or seats. Moisturize and oil your hair on a regular basis.